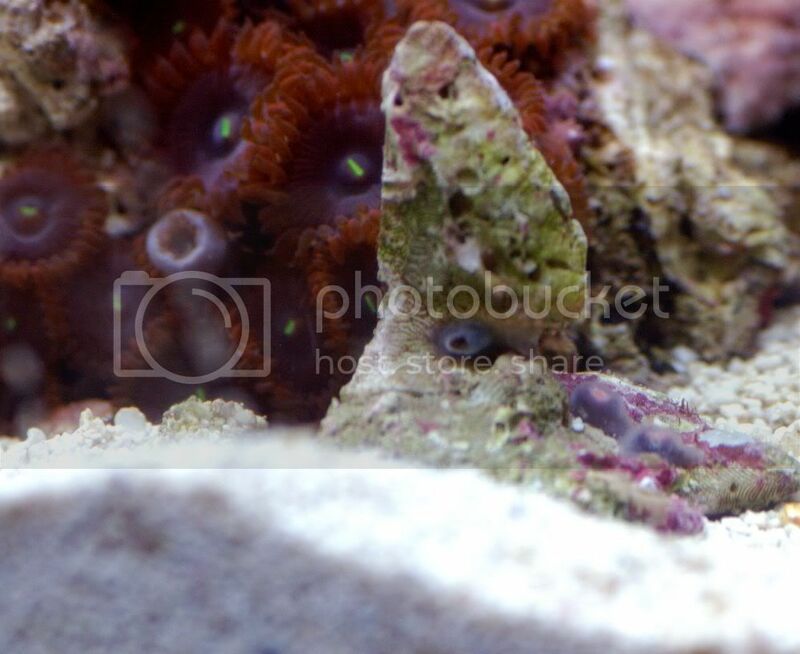 In the time before we made the agreement and the corals were shipped I added 3 polyps of what were supposed to be spiderman zoas from vivid aquarium for $70. I didnt end up sending the $70 in the time we added the "spiderman" zoas and receiving the order. And thankfully so as it would have just been $70 more dollars lost. EDIT: The $70 was for the spidermans and another $10 frag. The $10 frag was DOA in the same shape as the purple deaths. Here is what i received. Bags were wrapped in bubble wrap and thrown into a box. I cant imagine how someone could think that is ok for any frags...much less supposedly high end stuff shipping to Oregon in November. Purple Deaths. I left the frag in one of my tanks for 48 hours and watched it get worse from starting off in the shape you see and then tossed it. And here are the "headless horseman" palythoa. Note that shipped poorly or not, they could actually fit inside the mouths of the RPE's in the background. Im not buying they really were headless horsemen in the first place. WAY too tiny. Only a couple of zoanthids have i ever seen that were so small. I watched them continue to rot until there was no way and tossed them like the Purple Deaths. Whether they were or they werent, while these werent in quite as bad of shape as the purple deaths, they didnt have a chance. And here are the "spidermans" from Vivid aquarium found here. Note they are zoanthids. The green things with the red skirts I recieved are palythoa. I will add that while i do run 10k bulbs, my camera is custom white balanced to them. The color that you see is true to life. If there was any blue there to be seen you would see it regardless of the bulbs. And I dont think they morphed from blue to green in the time that it took for him to ship them. His argument was that I use 10k bulbs and things look different under different lighting. If anyone would like I can post countless other brilliantly blue corals I keep under these lights. anyway.....here are the "spiderman zoanthids". There were two of these that survived, i watched that third one at the bottom start to go so I cut the two that are open out in a effort to maybe not let it spread and it worked. The two green palys with the red skirts are fine. Here is what kills me. Here are a couple quotes of a few of the things that he said when we were trying to reach some kind of resolve. Good thing im not so gullible to be looking at dead corals right in front of me, and believe somebody when they tell me everything is just fine and I actually got a GOOD deal. "everything you paid for is alive and well." "I sent you $420 worth of frags and you only paid for $260. The purple deaths and spiderman will survive. Thats $140 that came out of my pocket. It pays for the headless horseman and the spiderman even though half of those will survive." We did come to a agreement that he was going to send me 7 purple deaths as well as pay for shipping. After I ended up talking to someone else that also purchased the other unhealthy half of his advertised purple deaths from him that died quickly after being introduced, I really regretted being so generous and making that agreement with him. 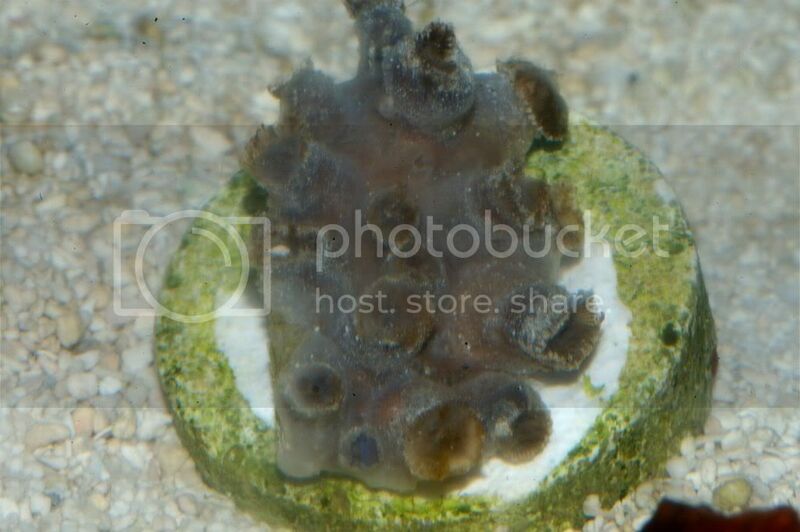 At the time I figured anything I squeeze out of this piece of ____ would be a bonus, but knowing that the other PD's he shipped were sick and died on the guy who bought them, I didnt watn any more of his sick/diseased whatever corals even shipped to me. Then I PM'd him asking when he was going to ship, I saw he read it, ignored it and thats when I said enough is enough. He really owes me the order in full as it was placed. 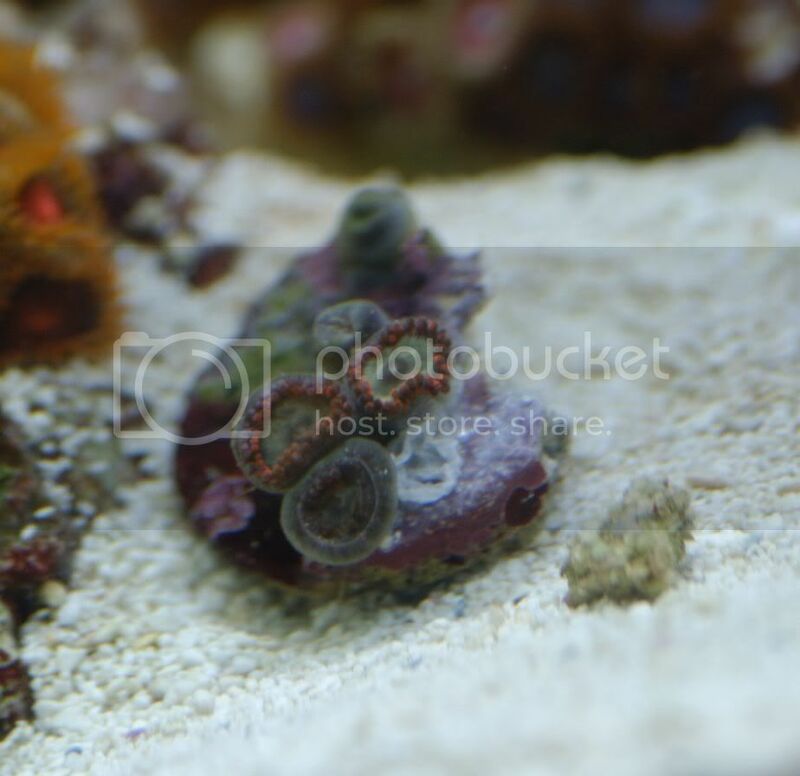 For the 10 PD's, 3 HH's, and the 3 spiderman zoanthids I paid $268 dollars for, all I have to show for it is a $50 bill on my fed ex account, and 2 palys that while kind of cool, I wouldnt sell for more than 5-8 polyp. Just to make this go away I will accept a $200 refund. That is paying him $78 for those two green palys. "And another thing. The purple deaths you have aren't dead"
"Why should I send you money back, when the coral is still alive? Because they weren't happy when they arrived? Shipping isn't always nice on coral, but they come around. I will not refund for anything that wasn't DOA." That was AN HOUR ago he said that. They were tossed in the trash long ago at this point. This guy gives all of us who take selling and shipping healthy livestock seriously a bad name. Thanks Hopsikag for the absolute worst buying experience I have ever had on reef central, and ive had a couple that werent so good. Last edited by flyyyguy; 11/09/2007 at 11:46 PM. So I opened a paypal claim. I thought I might share some more lies from good ald Adam Hopkins. He is telling paypal that my tank is probably a cesspool, and that the pics I have were taken 2 days after I had the corals so it is my fault they are dead. WELL...........would we like to discuss the black and white of that?? 1. I have the RAW files with the information of what time I sent original pics.. The pics above were updated right before I tossed the corals and the "spiderman"'s I moved to get a better shot than the original. The PM's sent back and forth will match with my original pics sent and the files I have. And Third in concern to my tanks being cesspools......I keep primarily spos as well as sell, trade and ship primarily sps. I hafve lost less corals in shipping countless boxes of stuff over the last two years, than you hve had die in the 3 orders you have sent out in the last week. I know Hopsiskab are working to a resolve on one of those orders and im nto at liberty to mention who it was with, but the mods can go look right into our PM's and see who bought the rest of the PD's all were dead within a day. Last edited by flyyyguy; 11/10/2007 at 01:30 AM. Sorry to hear that you shelled out that much and got the corals in that condition! 80% of the time paypal sides with the buyer, but in this case regarding "Live corals" it maybe diffrent. Keep use up to date. Were the corals shipped in a styro cooler, or styro lined cooler? That is a must for anything live. They were wrapped in bubblewrap and thrown into a box. Well I hve been told that paypal is worthless when dealing with people such as this, and that was quickly proived correct. He could have mailed me box of his pet gerbil droppings, and long as it shipped to my address their requirements are ssatisfied. In ebays community forum (which I had to experience a bad transaction) they give many tips on what to do. I my sister won a cellphone on ebay and what was shipped to her was "rocks"! No kidding! She won a treo and basically got an empty box. She got refunded and the seller was band from ebay. I don't know how she did it but its possible. Yes but this wasnt though ebay. Here is my "resolution report from paypal"
Sorry to hear this. I have a 2 polyp frag of PD's, maybe in a few months if you don't have replacements we can do a PD for RPE trade, those RPE's are nice. seeing paypals agreement out of luck. This guy needs to step up and replace the DOA's regardless of what paypal has decided. I bet he never received a shipment of zoas wrapped in bubble wrap and thrown in a box. If he doesn't come through pm me and I'll hook you up with the PD's. They grow like weeds so it shouldn't be a big deal for him to replace them. Just win baby!!!!!! Committed to excellence. Adam hopkins did not directly get them from me, I really wish he would have not used my name in this as he got them indirectly from someone else i do not know who from. Flyyyyguy/Samson, Send me a pm if this does not get resolved. Last edited by Creetin; 11/10/2007 at 08:50 PM. Alex, I said they came from your colony. I didn't say you sold them to me. Samson has been taken care of. I have sent an offer to William Payne that is more than fair, even after his repeated abuse by PM. If he chooses not to accept, there is nothing else I am willing to do. I clarified his so called "more than fair" offer. Instead of any grey area as to what will be sent it will be the 10 PD's that I paid for, and 3 polyps of spiderman. Both of which he is going to take pics of before he sends. When they show up heatlhy, I will reimburse him for shipping costs as that is how these things are supposed to work, but frankly after what I have witnessed I dont trust him or anything about him one bit. My word is good, and he will be reimbursed if he can find some healthy corals, and succeed at getting them to me alive. Looking forward to putting this one to bed. Last edited by flyyyguy; 11/10/2007 at 10:08 PM. Not sticking up for anyone just sharing my experience. I did recieve a large PD frag from hopkisag1. I honestly don't remember how he shipped them, but I do remember that there were a few more than advertised and they all arrived very healthy. So maybe this is just a fluke with you two and it does get worked out in your favor. Payments have been refunded. I have no idea what caused them to turn into mush. I have sold hundreds of frags locally, and I can provide proof that they have all survived. I'm done with this shipping ****. Not to be the big crabass....but a stand up guy in my book, doesnt lie or force reputable buyers/sellers/hobbiests like myself to post threads such as this to reach a resolve. I recieved a partial refund of $200 which is what i requested in the first place before it came to this. So it only costing me $68 for the 2 green palys with red skirts while not so good of a deal, does beat the heck out of paying $268 for them. Just the same, glad to put this one to bed, thanks for the refund Adam, Moving on. EDIT- He also left me a sweet little note on the refund he gave me that is WAY to obscene to post here in a family forum such as this. Adam, Im sorry if me forcing you to take accountability for the health of what you sell as well as letting you know you have no business selling and shipping corals with the knowledge or experience you have at the moment made you mad at me. After all the bonding you and I have had via PM's in the last few days, I gotta say I rather enjoyed your note. Have a nice day. Last edited by flyyyguy; 11/11/2007 at 06:19 PM.